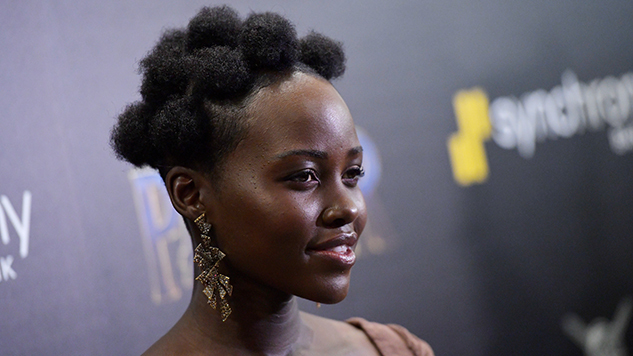 Black Panther star and Academy Award winner Lupita Nyong’o will star in a film adaptation of Trevor Noah’s best-selling memoir Born a Crime: Stories from a South African Childhood, Deadline reports. Nyong’o will play Patricia, Noah’s mother, in the film. Patricia served as a pivotal figure in Noah’s life before surviving a murder attempt by Noah’s stepfather. The project will be produced by Noah’s Ark Angel Production along with Nyong’o and Mainstay Entertainment’s Norman Aladjem, Derek Van Pelt and Sanaz Yamin. With this new role, Nyong’o seems to have a busy slate with the upcoming release of the Australian zombie comedy Little Monsters, along with producing and starring in a film adaptation of Chimamanda Ngozi Adichie’s Americanah, which is being written by her Black Panther co-star Danai Gurira. Between Star Wars and Black Panther, Nyong’o is finally getting the recognition that elude her after 2014 Oscar win.